What goes great with beer? Dogs of course! Well, many other things pair well with beer but never before could you take Fido (or Fida) along to enjoy the two together in Rockford...until now! 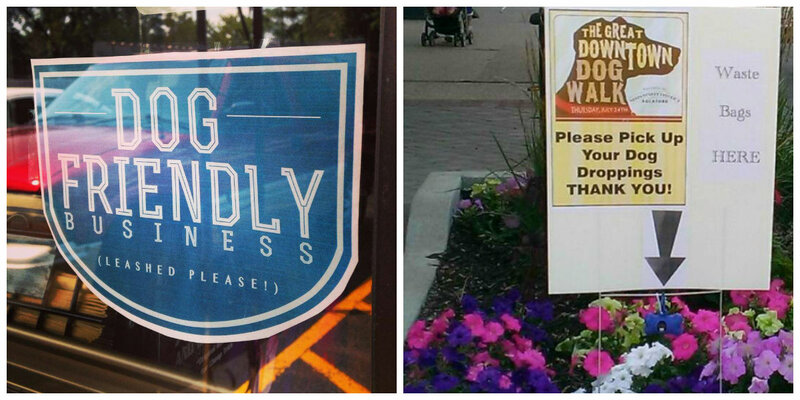 The Main Street District recently created a brand new event called The Great Downtown Dog Walk! 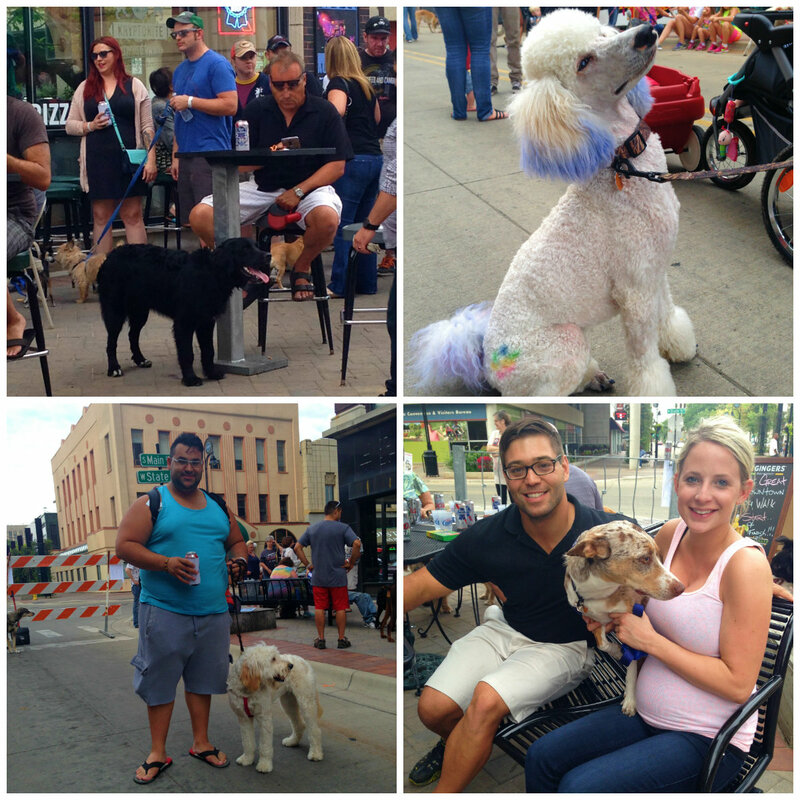 On Thursday, July 24th our downtown (N. Main and W. State Streets) filled with giddy pet owners happy to use this as an opportunity to show off their equally cheerful pups and enjoy a nice night out with friends too. It was quite a sight to see with doggy pools, a kissing booth, photo booth, vendors, outdoor seating, live music and more set up in the streets and on the sidewalks. I was most impressed with how well-behaved these pets were...and their owners too. Dogs of all sizes were playing well together and getting along great! This is a perfect example of just one of the many ways our city is more progressive allowing creativity to flow through our community, bringing people together to have a good time. If that isn&apos;t reason enough to get out and start supporting these types of events, then this will surely seal the deal...proceeds help to support Noah&apos;s Ark Animal Sanctuary, our local no-kill animal shelter. A true win-win with the community at the center of the heart. I definitely plan to bring my pup Lola to the next one happening on Thursday, August 21 (starting at 5p). Based on the success of the first event, I have a feeling she will be making A LOT of new friends. Thank you to Kryptonite Bar, The Canine Crunchery and the Main Street District for your efforts and hard work in creating events like this in the Rockford Region. 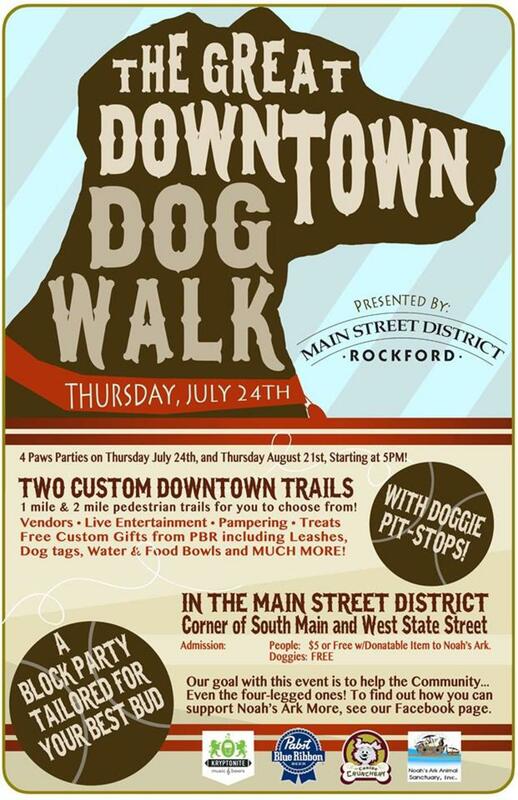 For details about The Great Downtown Dog Walk and many other events happening in the Rockford Region visit gorockford.com!